Sales management differs from one company to another, but it usually follows the same baseline structure. Managers need visibility across the sales pipeline the better to track progress and spot stumbling blocks. Sales reps need the same pipeline visibility to follow deals. Both users need drill-down access to details, mainly activities, customer interactions, deals and other notes that help contextualize each lead for greater clarity on how to push it down the funnel. Likewise, companies need lead-qualifying tools and reporting and analytics in their sales processes to measure past and current sales strategies, while enabling them to forecast future trends and best-route scenarios. In this guide, we compare three top sales software platforms, their key features and main benefits. Our aim is to help you understand each solution’s strengths and weaknesses and see which one suits your business best. 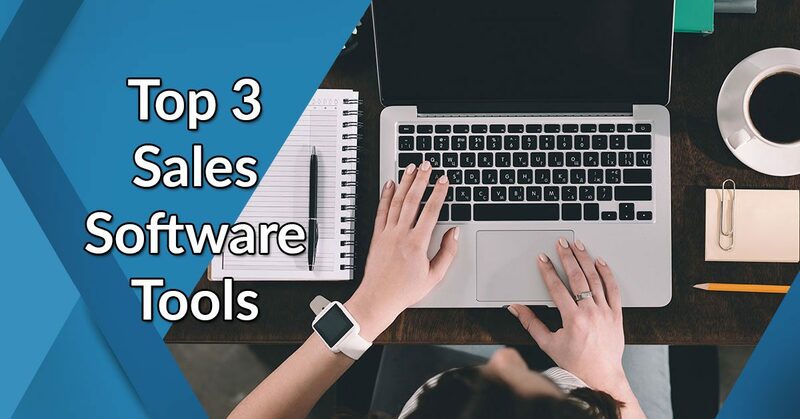 What are the top 3 sales software solutions? HubSpot Sales is one of the most robust free sales software that helps you turn deals to wins faster by organizing, tracking and analyzing leads. The free feature set includes email integration, contact management, email tracking and notifications, document management and reporting. At no cost to you, the freemium allows you to quickly create a working sales pipeline to associate deals and tasks and watch your sales team increase their efficiency and productivity at every stage of the pipeline. You can easily sign up for HubSpot Sales free trial here. Among its many benefits, you can automate email outreach while keeping a personalized tone. You can also turn recurring emails into templates and set the process automatically. You also get notified when your emails are opened or attachment downloaded and even send a follow-up email template in seconds to catch prospects right in their inbox. For increasingly more complex sales requirements the software scales to paid advanced features that match your growing needs. For instance, in a paid plan you get predictive lead scoring, phone and email support, smart notifications and sales automation. The great thing about HubSpot Sales is it natively integrates with HubSpot CRM and Marketing solutions, so your entire sales and marketing process can be automated and streamlined in one suite. Why choose HubSpot Sales? If you’re a startup or small business the free HubSpot Sales version lets you organize your sales process at no cost. Not only is this huge savings to your budget; it boosts your lead-to-conversion rate and, ultimately, revenues, as your sales team becomes more organized, collaborative and accountable. They can now capture, follow up and track deals more clearly across the HubSpot sales funnel you’ve created. Enterprise sales teams can also leverage the HubSpot suite advanced features, including salesforce integration, multiple deal pipelines and meeting booking platform. As part of the popular HubSpot suite, the Sales module shares data and integrate processes with the CRM and Marketing modules. You get a 360-degree view of the entire sales and marketing process with drill-down capability to pinpoint specific activities. The selling point of HubSpot Sales is free yet robust. In fact, it’s one of the most rich feature sets for a freemium across the SaaS landscape. With the free app you can quickly set up a working sales pipeline that integrates your Gmail or Outlook emails, organizes contacts and associates deals and tasks for clear visibility. You can also create email templates, set up notifications and track leads until they convert. Once your sales process gets more complex you can always scale to its paid plans and enjoy more advanced features; thus, future proofing your sales process. Hubspot Sales features you should know about: Email marketing, Pipeline Management and Lead Management. Pipedrive is a robust sales and CRM solution that streamlines all your essential sales processes from capturing leads to converting them and generating visual reports that help you frame strategies and measure activities. Its visual pipeline management makes it easy to see the big picture, while the Activities & Goals feature keeps you in the loop of your team’s day-to-day actions. It is both a strategic and tactical sales management tool. The vendor also offers a great free trial plan that allows you to try out all the key features of the software. The solution, which integrates sales management and CRM functionalities, provides a complete platform for planning, tracking and managing deals, and essentially working more efficiently to fast track the sales cycle and turn in more conversions. Pipedrive suits small businesses and large enterprises in most industries. The solution is designed for activity-based sales. All related records–conversations, leads, deals and customer data–are associated and accessible from the pipeline, where customer interactions are put into context. This is helpful to frame your deal along the prospect’s needs or interests. You can easily sign up for Pipedrive free trial here. Why choose Pipedrive? Essentially, your sales team can work smarter. They have a clearer understanding of prospects and the next steps necessary to push the deal. With the proper context of customer interactions, sales reps can also pitch more appropriate deals. For instance, the visual pipeline lets you see the status of all deals and the tasks needed to push them further to conversion. The pipeline has a clean interface, simple and can be customized to the process that’s already working for you. You can, for instance, tweak the sales pipeline for unique leads, while keeping a default one for other leads. The solution also features mobile apps for Android and iOS, an open API and email integration with Gmail, Outlook and other email clients. Likewise, it features sales reporting and sales forecasting that lend insights to your past, present and future strategies. The selling point of Pipedrive is quick deal closure: You get to associate all related records to a lead, giving you an accurate context of the deal. Sales reps can access these records from the visual pipeline, which clearly indicates the next steps, ultimately, speeding up the sales process towards conversion. Moreover, you get the big picture via the visual pipeline, which you can customize in myriad ways that match your processes. Conversely, you get drilled-down details of everyday activities through the Activities & Goals interface. With this visibility it’s easier to track the sales team’s performance and how they are meeting your goals in real time. Pipedrive feature you should know about: Pipeline management and Activities & Goals. Freshsales is a CRM with intuitive sales management tools for handling the different aspects of the sales process. It helps to capture, nurture and funnel leads towards conversion. It also helps sales teams to keep tab of contacts and their status across the sales stages. The system features multiple deal pipelines that allow you to configure the sale stages along your business processes. The result is more clarity and logic to your sales pipeline. This feature, however, is only available in the premium plan. The solution acts as a central contact management hub for sales and marketing, and even support. The UI is simple but can manage thousands of leads with tools such as call routing, call recording and auto-dialers that aid in capturing key information and context about a lead. Perhaps its most admired feature, Freshsales’ lead scoring can at once sort sales-ready prospects from thousands of contacts based on your rules; for instance, adding ten points to contacts whose job title is project manager. Right off the bat, the sales team focuses on quality, not quantity, leads that can only increase the conversion rate. Freshsales also features email marketing, sales campaigns and reporting & analytics. If you’d like to try out the software on your own first there is a great free trial plan offered by the vendor. You can easily sign up for Freshsales free trial here. Why choose Freshsales? It has end-to-end sales tools for capturing, nurturing and converting leads. The lead scoring feature enables you to focus on quality prospects, while you prep them for deals through email tracking and sales campaign tools. You can then run sales activity reports to get an overview of your win-loss ratio. Moreover, if you have different sales teams following a variety of sales processes, Freshsales allows you to lay down multiple sales pipelines for each unique workflows. The selling point of Freshsales is end-to-end CRM: Your sales team gets to access advanced lead scoring, built-in phone, email tracking, sales pipelines and other sales tools in one platform. This end-to-end framework enables you to capture, nurture and convert leads, resulting in higher returns. Freshsales feature you should know about: Lead scoring and multiple sales pipeline. The first thing we noted about HubSpot Sales is that the deal pipeline lets you follow your natural process of selling. You can drag, drop and click deal stages, records and life cycle stages based on your workflows or a pipeline that is intuitive to your sales team. This way, you can easily spot bottlenecks and pile-ups and associate deals with tasks in seconds. Among the three, HubSpot Sales has the most intuitive pipeline that makes tracking deals to conversion easy. Meanwhile, Pipedrive is noted for its highly visual sales pipeline that can be configured along the process and stages that mean to you. While Freshsales can do the same thing, it lacks the neat UI and timeline clarity of Pipedrive. Sales teams see clearly the context of the deals and next steps to take in a Pipedrive pipeline. All records are associated, updated and accessed from the pipeline, a fast way to move deals across sales stages. It’s not to say Freshsales lacks these capabilities. In fact, it has one of the most intuitive pipelines, too. You can configure it in multiple ways, each one adopts to a unique product category, for instance, while you keep a default pipeline for general leads. This is, however, available only in its premium plan (Estate). The solution also provides complete visibility across sales stages. And we like the drag-and-drop simplicity (as with HubSpot Sales) to move deals across the pipeline. It is in terms of visual clarity of the timeline–you can’t quickly look up customer interactions in a chronological view–that Freshsales lags, but not so far, behind HubSpot Sales and Pipedrive. All three excel in lead management. Pipedrive’s Activities & Goals keeps you in the loop of everyday sales activities. It lets you know who is doing what, spot ineffective activities at once so you can pivot to a new direction to keep to your target. But when it comes to qualifying leads, HubSpot and Freshsales are better designed. Both have advanced lead scoring that enables you to prioritize high-value leads based on your metrics. Once you get inundated with leads, this is where you’ll appreciate this predictive tool. HubSpot Sales’ lead scoring, for one, covers myriad metrics to base your score, including demographics, email engagement, online behavior and company information. Freshsales, meanwhile, lets you filter prospects by company name, URL or by email interactions. HubSpot is inbound marketing and this is where you’ll like this platform best. Its email sequences turn repetitive but effective sales emails into templates that you can automate to optimize your lead generation. It can also notify you of an opened email and let you send a followup message in seconds using automation rules. Likewise, you can schedule emails inside Gmail and ensure your message is sent at the right time. On the other hand, Pipedrive and Freshsales do the standard integration with Gmail, Outlook and other email clients via IMAP. Bulk emails can be sent inside both systems through integration. Pipedrive connects relevant emails to contacts and deals, as we’ve explained above, providing you the context of a deal with customer interactions. Freshsales also has email tracking and automatic email follow-up and capability to sync with the sales reps’ calendar, but it’s less integrated than HubSpot Sale’s. The former’s lead-scoring tool, however, can also automatically spot relevant metrics in each email and clue you in for potential deals. All three solutions allow customization of fields and relationships. You can customize the sales stages in HubSpot Sales, Pipedrive and Freshsales and configure how the sales pipeline move leads to deals and to conversions. HubSpot Sales and Pipedrive have the advantage of providing a timeline view of customer interactions, which gives an accurate context of how leads are progressing. All three can be set up for multiple pipelines. If you’re selling products that follow different sales stages, you’ll love any of these platforms. Both HubSpot Sales and Pipedrive have recommendable reporting features. HubSpot Sales’ provides out-of-the-box and customizable dashboards and reports with drill-down capability, which makes it easy to share metrics during high-level meetings. Meanwhile, Pipedrive’s visual reports: compact tables and easy-to-grasp charts act as visual tricklers that let you see your sales performance and activities with quick-glance clarity. Both sales software makes it easy to compare metrics over periods of time, match sales reps’ performance and understand the logic behind your key performance indicators like lead volume, conversion rate and sales cycle. On the other hand, Freshsales’s reporting is intuitive; it provides both a sales dashboard and lead generation dashboard. The quick look-ups help you to measure at once team and individual performance or gauge your campaign’s success. Pipedrive impresses with a wide array of integration with other systems. These include apps for automation, email marketing, communication, analytics and third-party connectors. Among others, Pipedrive integrates with Zapier, MailChimp, Trello, Yesware and Google Apps. However, it lacks the native integration of the two sales solutions. The HubSpot suite is arguably hard to match. You can streamline and automate your entire sales and marketing process with HubSpot Sales, HubSpot CRM and HubSpot Marketing. This makes sharing data, documents and insights across your revenue-making units more seamless, collaborative and productive. Meantime, Freshsales has native integration with Freshdesk. Your sales, marketing and support use a centralized customer data the better to communicate with customers with more accurate and timely information. Sales and support, for instance, can communicated closely in the platform to help resolve issues or spot resell opportunities. HubSpot Sales, Pipedrive and Freshsales have Android and iOS apps. This means you can take your sales pipeline with you anywhere you’re cloud connected. Freshsales has an advantage here, being built on the strength of the same vendor that brought us Freshdesk, a small business help desk app renowned for its reliable support. But HubSpot, the vendor, is an unmatched content machine, among the three, providing a huge knowledge base of helpful articles and advice to marketers and salespeople. Its live chat also makes sure you get a reply even as you browse their site for information. Pipedrive’s customer service is also reputed to be responsive and has a robust knowledge base. HubSpot Sales is the clear winner here. Despite Freshsales having a free app also, HubSpot’s freemium is robust. It offers 200 email notification streams, email templates, documents and even 15-minute calls per month. To top it, it integrates with the free HubSpot CRM, extending further the sales functionalities. For more advanced features, HubSpot Sales offers a Starter Plan (from $50 per month) and Professional Plan (from $400 per month). On the other hand, Freshsales offers a free version for up to ten users. It includes sales force automation, email forwarding, built-in phone, lead scoring, basic analytics and mobile apps. Paid plans start at $12 per user/month with the premium plan at $49 per user/month. On the other hand, Pipedrive is available in three price tiers that meet the requirements of business of any size, from small business to large enterprise. Plan starts at $10 per user/month, featuring full sales management tools. Its premium plan costs $63 per user/month, inclusive of phone, live chat and email support, plus customizable email templates and a standalone server for security and speed. Overall, HubSpot Sales has the best email marketing platform, the more intuitive pipeline management and lead management and, best of all, best value-for-money especially its freemium. Pipedrive and Freshsales are also a top choice because they are a CRM platform with sales management tools that cover all the stages of the sales funnel. Pipedrive excels in visualization, while Freshsales excels in lead scoring along with HubSpot Sales.